Sometimes you wonder if it's all worth it, and whether anyone is out there, and then you see something like this over at Caught By The River detailing a forthcoming celebration of Roger Eagle to mark the tenth anniversary of his death. You need to register to receive the tribute Jeff Barrett has been working on, so head down by the river side and show your support for one of the our folk heroes, without whom, without the Twisted Wheel, without the jukebox at Eric's, there would certainly not be a Your Heart Out. And it's just nice to know that in a small way we've precipitated this timely tribute. The blog post mentions another Liverpool legend, Bernie (down the lane) Connor and anyone who loves their music should subscribe to the podcasts he has been posting at The Sound of Music, which eerily seem at times like an aural equivalent to our little publication. One of the enduring themes of the Your Heart Out series is the dawning realisation that a particular individual has made a special contribution to the art of music. It's that moment you realise a certain name crops up time and again, and once this has registered you're off following more links all over the place. In The Enormity of Small Things, the sixth issue, this particularly applied to arranger and songwriter Gerry Shury, who connected so much of the soul/disco/pop music made in the UK in the '70s, from the bubblegum of Biddu to the deep soul of Doris Duke via Ultrafunk and Polly Brown. So, in tribute to the artistry of Gerry Shury we are presenting this Now Is The Time mix of works related to this great man, focusing more on the soulful side, with some gems from Carl Douglas, Jimmy James, Jimmy Helms, Doris Duke, and so on. It's glorious stuff. And, yes, Tina Charles is on there too. I had a crush on Tina when I was a kid, and watching this fantastic clip of her performing I'm On Fire with 5000 Volts I have to say my feelings haven't changed. What a voice! I have lost track of Lawrence, but hope he is looking after himself. Anyway, his groups Felt and Denim were pretty material (oh please yourselves!) to The Enormity of Small Things, or the sixth issue of Your Heart Out, in the sense that they dared to challenge orthodox views of what is great pop. Denim, for example, opted to strike a defiant pose in the middle of the road. It's a good place to be. 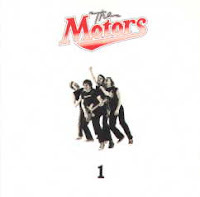 Leading on from that was the notion that the pre-punk '70s were a goldmine for odd pop. A perfect example of this would be Jigsaw's Sky High, a big hit in the mid-'70s, with a great twist on the Four Seasons/old soul sound. The LP it comes from is an absolute classic masterpiece, but seems to be out of circulation. Similarly Lynsey De Paul came up with a number of pretty strange and wonderful songs. Sugar Me is perhaps the best example, though Storm In A Teacup is a particular favourite around these parts. That whole thing about Denim being a mix of the Glitter Band and Phuture was pretty cool, though I suspect Lawrence was not thinking specifically of this fantastically funky work out, Makes You Blind, from their decidedly rum third LP which is well worth seeking out. 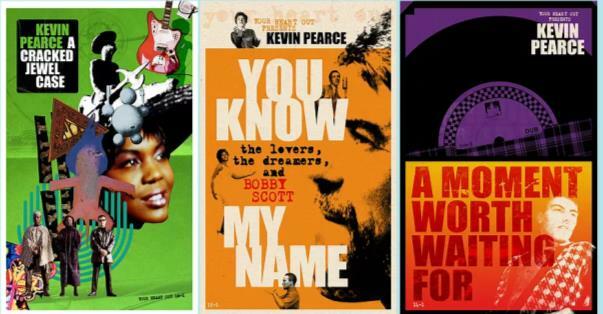 One of the main themes in The Enormity of Small Things, the sixth issue of Your Heart Out, was soul music made in the UK. It's a subject that could be debated endlessly, but one of the important things to emphasise is the way life, culture, whatever, in the UK was enriched by people from the US, from the West Indies, and so on, who chose to live and work over here, and the music they were involved with lives on and remains the perfect argument for a multi-racial society. The Kissoon's moved to the UK from Trinidad, as did Ebony Keyes (or Lee Vanderbilt as he became known) who started singing in pubs in south London. His northern soul fave If You Knew is on the mix, so let's add to the fun by watching him in action on German TV, getting down with the local mods. There's a great clip of him performing If You Knew too, posted by his son. Now wouldn't it be great to be able to do that? The sixth issue of Your Heart Out is a special edition called The Enormity of Small Things ... with The Flirtations on the cover dancing in the ruins of an abbey, while inside taking as a starting point Dexys' Coming To Town shows in 1985, adding a soundtrack of lopsided soul and odd pop, there are lots of thoughts about how things fit together, and the consequences of intuition and influence. The cover is a screenshot from a wonderful promo posted on YouTube of The Flirtations performing their heartstoppingly wonderful Nothing But A Heartache, a British twist on the soul format, which is a very strong theme in this edition. Talking of themes, there seem to be a number of clips on YouTube of the Flirtations dancing their way round historic buildings. Who said you can't dance to architecture? There did seem to be a bit of a Paris theme to the fifth issue of Your Heart Out. 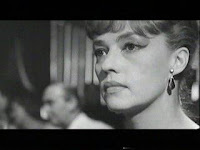 No disguising that really with a still of Jeanne Moreau in Eva on the front cover. While I am not a fan of Jules et Jim I am madly in love with Jeanne, and Eva is one of my favourite films. There's a lot to love. Not least the Michel Legrand score, and Tony Middleton singing the theme song. I have to confess I don't know much about Tony Middleton, though Eva wasn't the only French film he got to sing the theme to. A few years later he could be heard singing Paris Blues and so to continue our Louis Armstrong theme here's a clip from the film with Paul Newman doing his Big Jimmy bit. There were so many great tracks on that particular Northern Soul collection, but this Tony Middleton track still makes me do back flips across the living room! This photo is an early shot of the group Kit from an edition of Dave Haslam's Debris magazine. Debris, which was pretty cool, got a nice mention in the fifth issue of Your Heart Out, as did Kit funnily enough in relation to some of the great groups that were part of the UK's secret pop underground in the late 1980s. Appropriately Kit would record for Dave Haslam's Play Hard label, and this is the first track from their Unshakeable Faith LP, which came out in 1989. A while back, as part of a pre-Your Heart Out project, I put the case for someone salvaging the Kit LP ... it's part 21 here ... and I'm still waiting. Actually in this series there was quite a strong Liverpool presence. But I missed the opportunity to make a connection one of our more Mersey-centric readers pointed out recently, which was that Kit bassist Michelle Brown played with Michael Head's Strands and had a Shack song wriiten about her. Normally I just burble on about how great Kit singer/guitarist Lin Sangster is, and how much I love her earlier group Send No Flowers. One of the main themes of the fifth issue of Your Heart Out was about hearing jazz on the radio, via the shows Gilles Peterson hosted on Radio London. I think it's one of the most important aspects of the whole pop experience. That moment when you first hear something on the radio, and think wow! 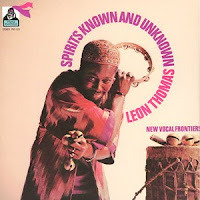 And there were tracks that Gilles played in the '80s which made me stop whatever I was doing, and just ... One of these occasions was hearing Pharoah Sanders' The Creator Has A Masterplan, with Leon Thomas singing. I don't think it was the full version, but it was enough to make my head spin. If you've read the fifth issue of Your Heart Out I hope you will have picked up on how much we love the music of Marilia Medalha. As our love affair with Brazilian music continues it has been an absolute joy to discover performers who are less well known but whose music nevertheless captures out hearts, minds and souls. It's the same anywhere, dig deeper and there are more treasures to be found. 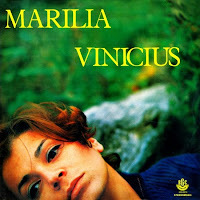 Marilia started recording around 1967, but has by no means been prolific. Her records however if you can track them down, by hook or by crook, are just so wonderful, and her voice just makes me melt. So, as an introduction to her beautiful music here's a collection of some of her greatest performances. Judging by YouTube and MySpace Marilia is still performing. Speaking of YouTube here is a clip of Marilia and Edu Lobo singing together in 1978, with a large print of our patron saint Tuca in the background. Anyway, Dancing The Night Away. The full length album version is six and a half minutes of pop perfection. With no guitar solos. Just ... well, have a listen. Go on ... add some sunshine to your day!